Maine is located in the Northeast part of the United States. 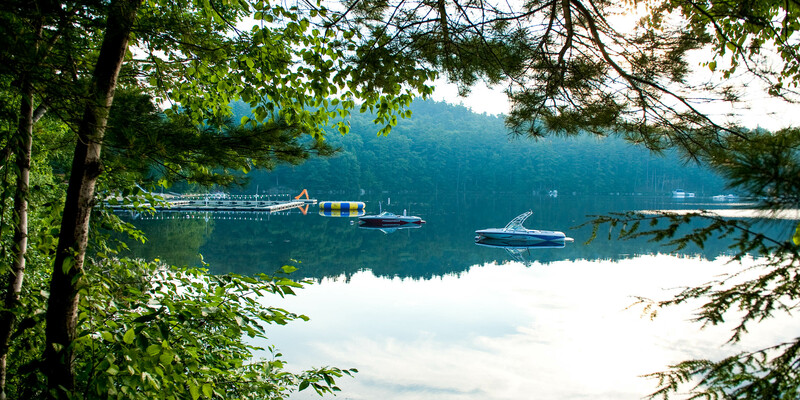 Camp is situated in the southern part of Maine, in the town of Naples, on Sebago Lake which is 38 miles long, and the second largest lake in the state. Naples is approximately thirty miles from the Maine coastline and is a 2 (1/2) hour drive from Boston. How do I get to Camp Mataponi - International Staff? If you are flying into Boston’s Logan Airport, there will be two ways that you can travel to Camp. Depending upon how many international staff will be arriving on your arrival day, you will either be picked up in Boston by a Camp Mataponi representative or you will need to take us a bus to Portland, Maine where you will be met by a Camp staff member. If you are flying into New York, you need to get a bus to Portland, Maine. The bus ride from New York to Portland is approximately 7 hours. You will be met at the Portland bus station by a Camp Mataponi staff member. If you are planning on coming to camp by plane, there are 2 different airports you can fly into. You can either fly into Portland, Maine or Boston’s Logan Airport. Boston is approximately 2 (1/2) hours from camp but may be more reasonably priced and has jet service from all airports around the country. A suggested packing list will be sent to you once you have secured a position with Camp Mataponi. What is the weather like in Maine? Warm days (approximately 80 Fahrenheit) and cool evenings make for an enjoyable experience. The month of June can be cold so we recommend you bring a warm coat. All staff live in cabins that have electricity, hot showers and bathroom amenities. Will I have internet and phone access? Wireless internet access is available in select areas of camp. Laundry is done 1x a week. You can expect to pack enough clothes for 10 days just in case there is a problem at the laundry facilities. Staff is welcome to us our coin operated laundry machines and dryers that are located on the camp property. Camp Mataponi provides a towel service for campers and staff. There is no need to bring shower or beach towels to camp. We are not a uniform camp however staff must maintain a fine personal appearance throughout the season. All staff is required to purchase Camp Mataponi staff t-shirts for $10. The shirts will be available once you arrive at camp. We would like you to bring one pair of khaki shorts. Will there be transportation available on days/nights off? Yes, we will provide transportation for staff members who do not have vehicles at camp. They will have the opportunity to go off camp property on their days and nights off. We encourage you to take time off camp and enjoy the sights of Maine. The coastline has many fine towns and beaches and nearby is a popular recreational area for hiking.